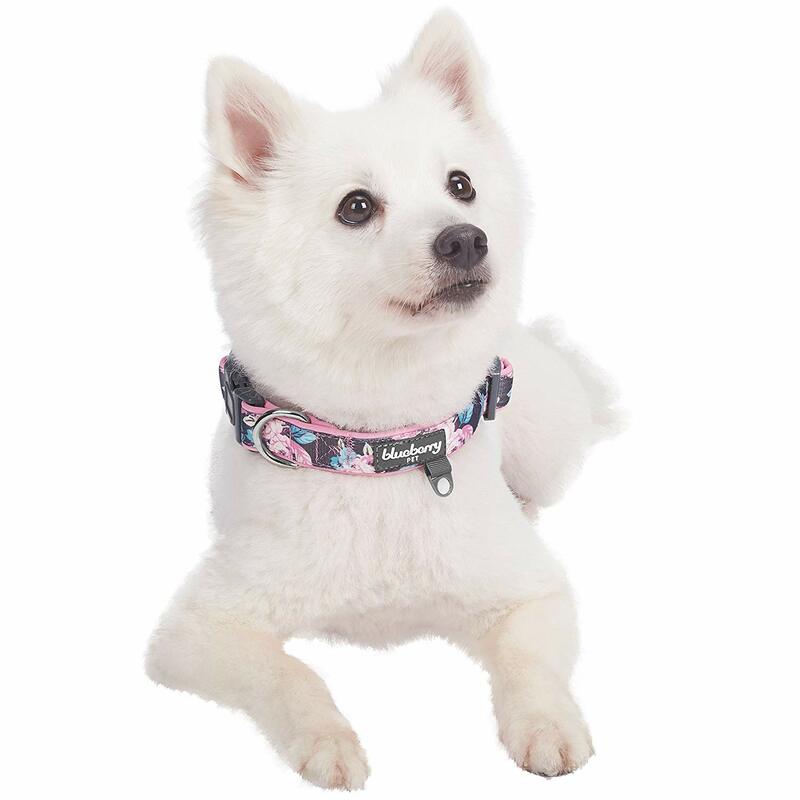 Neck 30cm-40cm, Entire webbing width 2cm, Ribbon on neoprene layer width 1.5cm, Size Small; The collar does not stretch itself, please make sure leave ONLY 2 fingers between collar and dog neck. A properly fitting collar and harness won’t leave any room for your dog to chew. The collar is not for tie out. NEVER leave your dog unattended with a collar on. The collar is a single product.However, it comes with matching lead/harness to complete the look. Lead and harness sold separately. 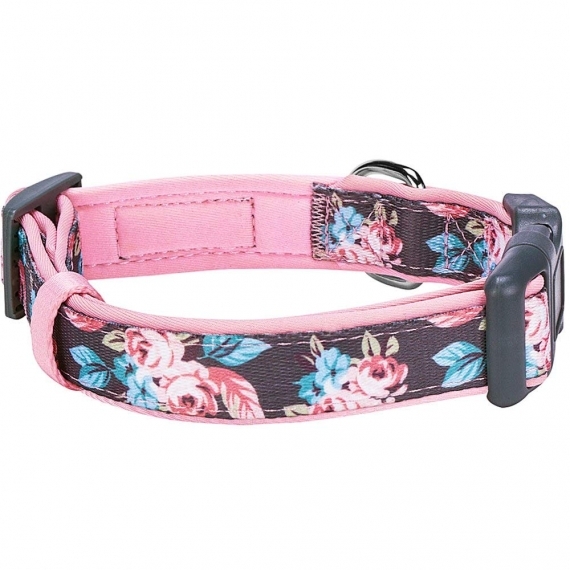 Product Description: This girly dog collar is a gorgeous way to welcome summer. Rosy prints have been a beloved item by Blueberry Pet customer for many seasons. Now, this design is called to be the fun and memorable new take on a classic print. The roses are printed in a color combination of spring-like aquamarine, pinky tones and light green, which would become the prefect collar for a daytime walkout or any special events. 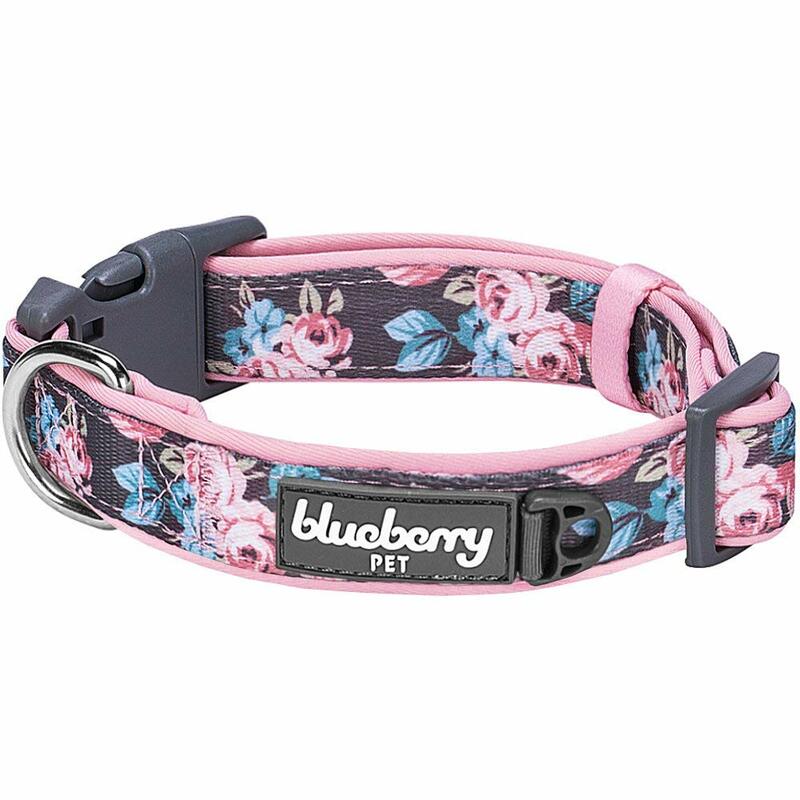 Don’t forget this collar is also made of neoprene as its bottom layer and high density polyester as its front layer. 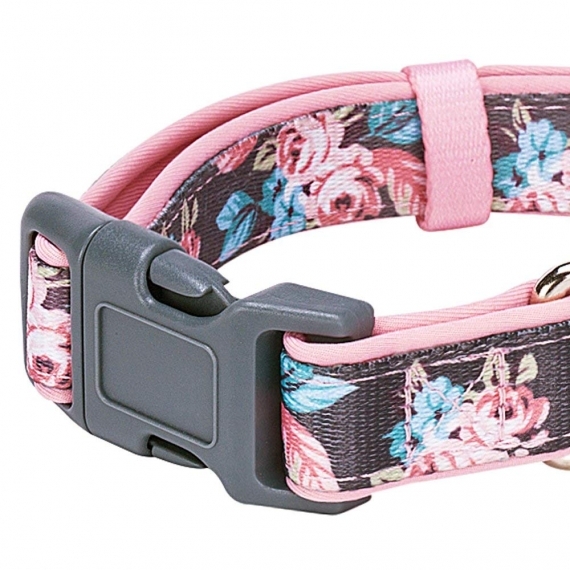 This fashion dog collar is perfect for every day use. What could be better? Click your mouse and get it now! Safety Warning: There is a choking hazard attached to this product. Please use with care.